First degree attempted murder charges have been filed against a man who opened fire in the 4500 block of North Broadway in Uptown on Monday morning, police said. No one was injured in the incident, which a police source said was domestic in nature. 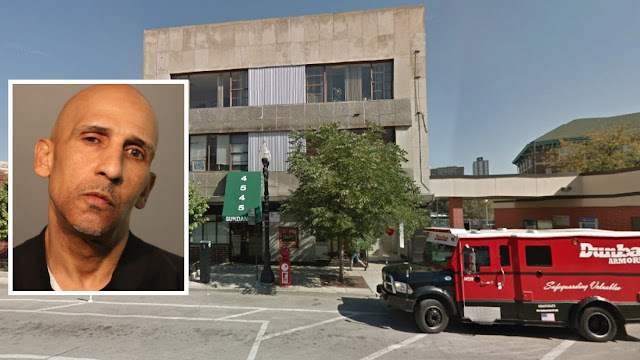 Miguel Santiago of the 3000 block of North Clifton was arrested in nearby Lakeview after he fled the shooting scene on a bike and stashed his gun in a portable restroom, police said. 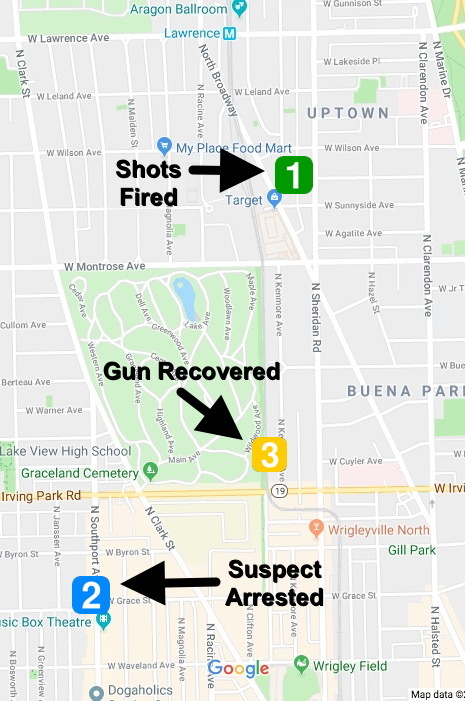 Around 10:15 a.m. Monday, officers patrolling Uptown heard about four gunshots and saw people pointing toward a building in the 4500 block of North Broadway, near the offices of Alderman James Cappleman. Cops spoke with a 52-year-old man who was the intended target of the shooting. He was not injured and refused to co-operate with police. Other witnesses provided a description, Santiago’s name, and his direction of flight, according to a police spokesperson. Police scoured the area and found Santiago near Grace and Southport around 10:30 a.m. He was positively identified by witnesses at the shooting scene and taken into custody, police said. Under questioning, Santiago revealed that he hid his gun in a portable toilet near Kenmore and Irving Park Road, according to a police source. Officers went to 4028 North Kenmore on Monday afternoon and found a handgun inside a porta-potty, the source said. Santiago was due in bond court this afternoon.